Red Bull KTM rider Luis Salom battled through the Moto3 race at Mugello to take victory and close the gap to championship leader Maverick Vinales to just four points. The Spaniard came out on top after a fierce battle with the top six riders which saw them all changing places several times a lap. Salom got the better of Alex Rins and Maverick Vinales to top an all Spanish and all KTM podium. 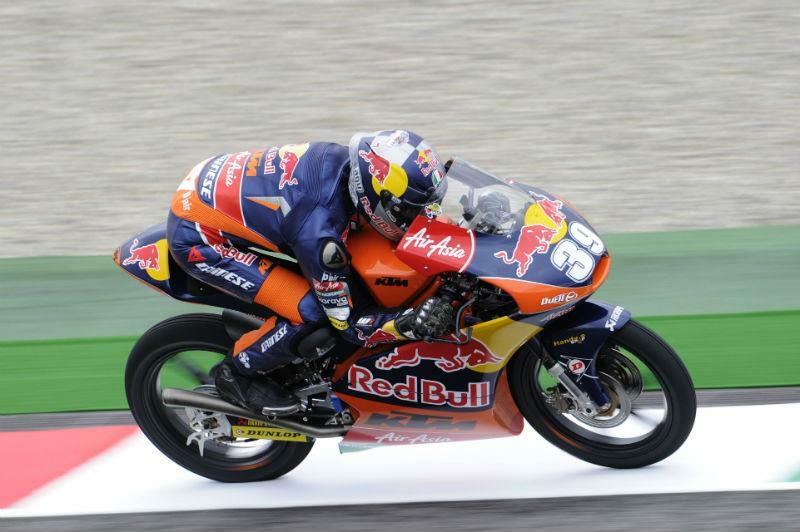 Miguel Oliveira secured his best result of the season with a fourth-placed finish, although he will feel he could have won after leading for a short time. Alex Marquez and Jonas Folger brought up the rear of the leading group in fifth and sixth. Brit John McPhee finished 16th, missing out on a point and 15th place by just 1000th of a second. Fellow Brit Danny Webb finished 17th.